This modern bridal shower invitation features a white background with mint green and pink arrows. “Join us for a Bridal Shower” is pre-printed above your custom text. 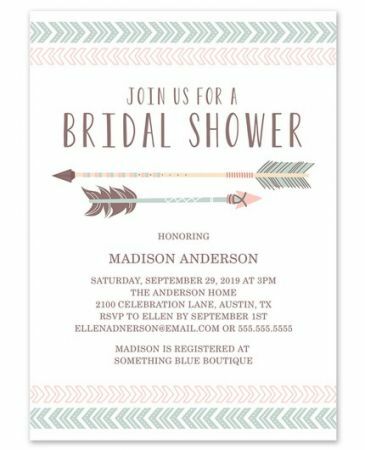 Add your custom event details to be printed in your choice of fonts and colors.